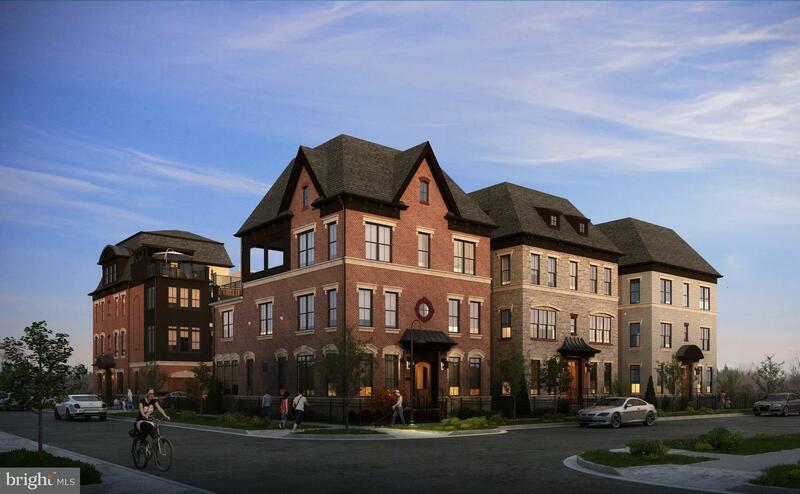 Enjoy High End Living in the City at this Beautiful New Designer Home by Wormald at Crown. Stunning Layout with Elegant Open Floor Plan and High End Features Throughout. STANDARD WITH ELEVATOR. Gourmet Chef Kitchen with Island, Sun Room & Terrace. Luxurious Owners Suite with Spa-like Master Bath, Large Walk-in Closet, and Optional Wet Bar. Bonus Penthouse Level features a 5th Bedroom and an Amazing 680 sq. ft of additional Outdoor Living Space including, a Dining Area, Sun Terrace & Lounge with Fireplace. Many Options to choose from with Optional Elevator and additional upgrades. Attached 3 Car Garage. Community Amenities include Clubhouse Retreat Overlooking a Gorgeous Pool with Outdoor Fireplace, Tennis, Yoga, Climbing Wall and More! Farmers Market and 5-star Nightlife at Your Doorstep. Minutes to Shady Grove Metro, 270, and ICC. Free Shuttle Bus to Metro. THIS IS A MUST SEE! 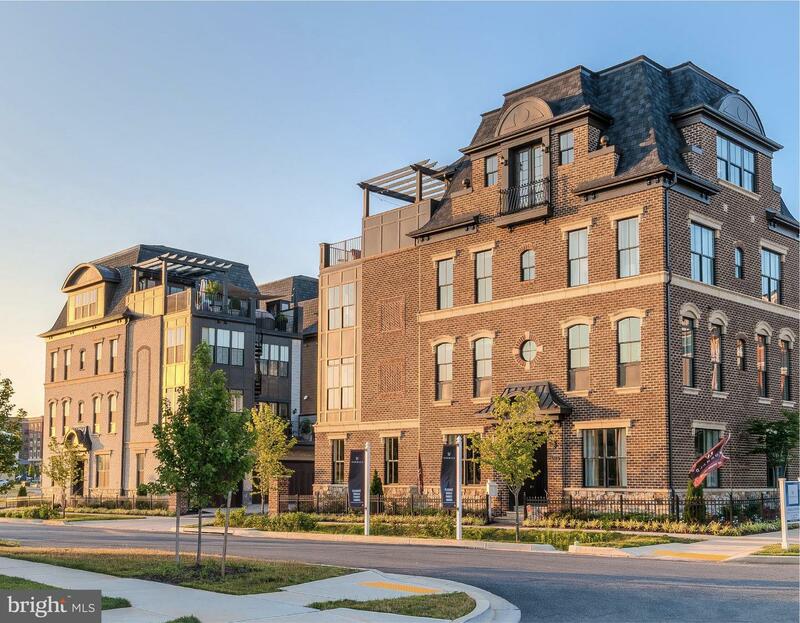 Enjoy High End Living in the City at this Beautiful New Designer Home by Wormald at Crown. Stunning Layout with Elegant Open Floor Plan and High End Features Throughout. Gourmet Chef Kitchen opens to Great Room with Screened Porch and Deck. Luxurious Owners Suite with Spa-like Master Bath, Large Walk-in Closet and Private Terrace. Many Options to choose from with Optional Elevator and additional upgrades. Attached 2 Car Garage. Community Amenities include Clubhouse Retreat Overlooking a Gorgeous Pool with Outdoor Fireplace, Tennis, Yoga, Climbing Wall and More!. Farmers Market and 5-star Nightlife at Your Doorstep. Minutes to Shady Grove Metro, 270, and ICC. Free Shuttle Bus to Metro. This is a must see! !OTHER HOME SITES TO CHOOSE AND BUILD NEW. Truly Spectacular describes this one of a kind estate home that offers a location that is the ideal balance of privacy while not being isolated from amenities. 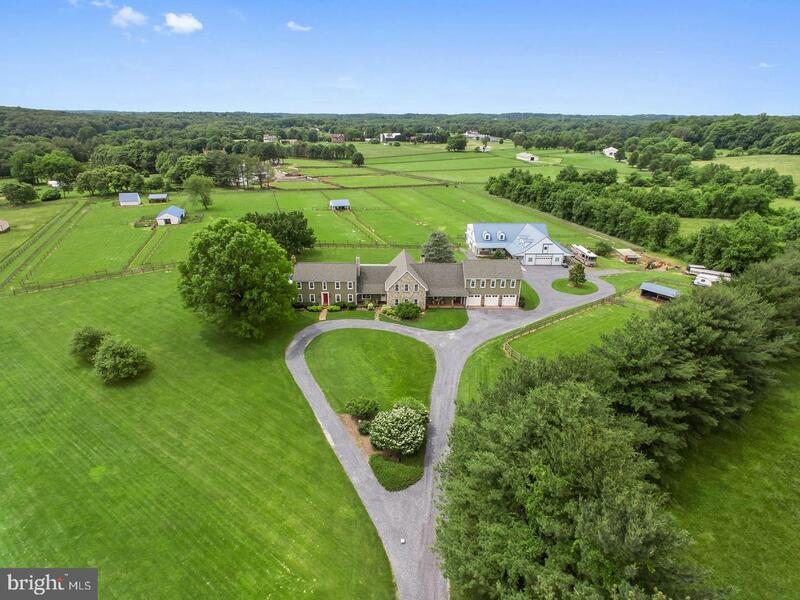 Situated on 10 level and scenic acres in a sought after area of Montgomery County, this uniquely fabulous home was renovated and expanded to include a post and beam/ lodge style adding to the original colonial home. No detail has been overlooked with quality finishes throughout. Even while having over 8,000 finished square feet, this home still is warm and inviting with exposed beams, wood floors and 3 fireplaces. If entertaining is on your agenda, than you have arrived home. Formal and Informal spaces allow flexibility inside and outdoors. Grand scale rooms and more intimate spaces, home theater on the main level, full bar and rec area in the lower level top off the interior. Multiple porches, deck and patios in addition to an inground pool with nearby gourmet outdoor kitchen demand pleasure and relaxation. A fully equipped private apartment over the garage with elevator access is ideal for family, au pair, guests, He/She cave or home office. Now, for the equestrian, 4-Her, Gentleman Farmer, the 10 acre property is calling your name. Currently home to alpacas and is well suited to horses, cattle, sheep etc. Multiple outbuildings include a main barn 48' x 72' with space for stalls 6+ stalls, tack room, vet/feed room, hay storage. Includes a 36 x 36' office with heat/AC and second level. Several run in sheds and multiple paddocks with Nelson waterers. Property has a deeded equestrian trail through neighboring properties and is a short hack to miles of trails at Rachel Carson Park and Waredaca. Ample parking for trailers, RV etc. This is a special property that can satisfy the dreams of every member of the family. 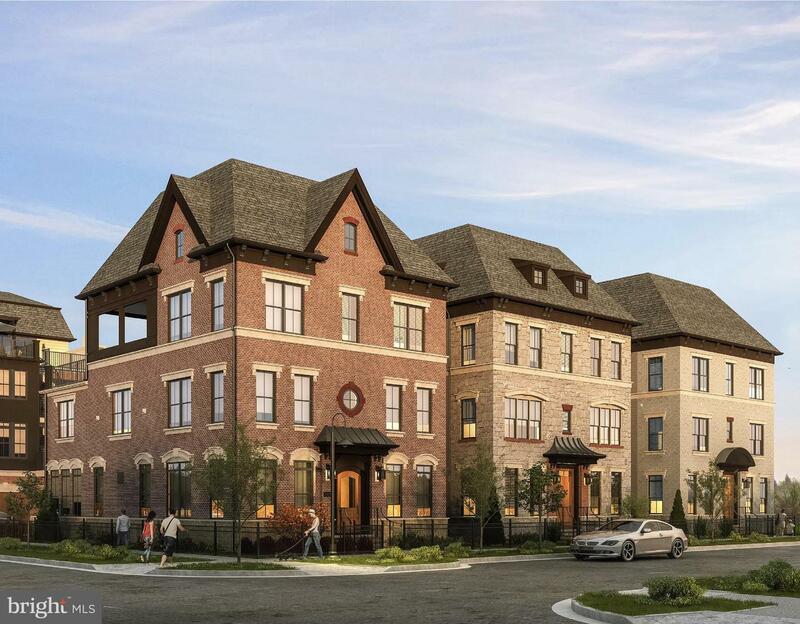 The Alexandria is a sure fit for those looking for the perfect size home on 3 levels. Your main living area is on the entrance level with a wide open living space, 3 bedrooms, 3 full en suite baths, 2 powder rooms and a 1000 square foot roof terrace to entertain like you never have before. Part of the terrace is covered with a roof, so you can entertain almost year round. Build your home today, not many homesites remain. MODEL HOME PICTURES AND OPTIONAL FEATURES MAY BE SHOWN. 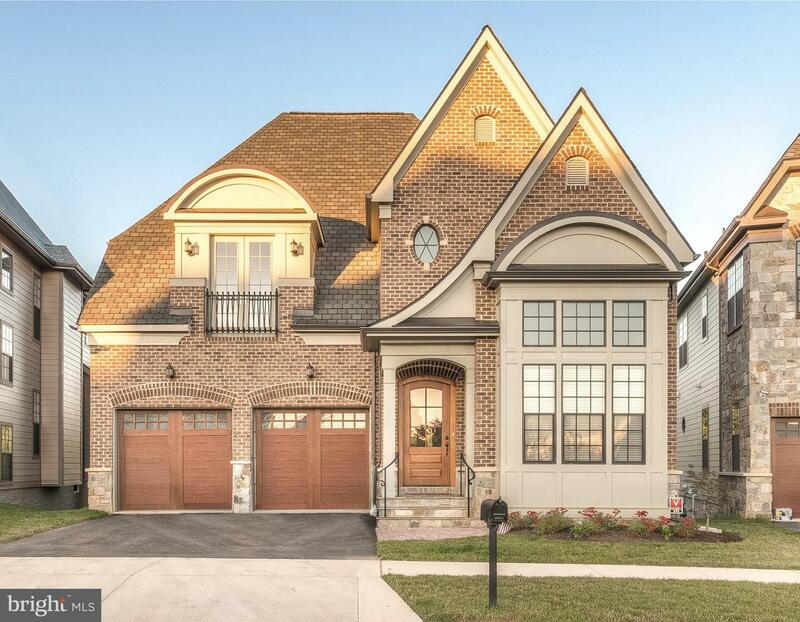 One of a kind, almost new Kentlands home on arguably the nicest street in the development. 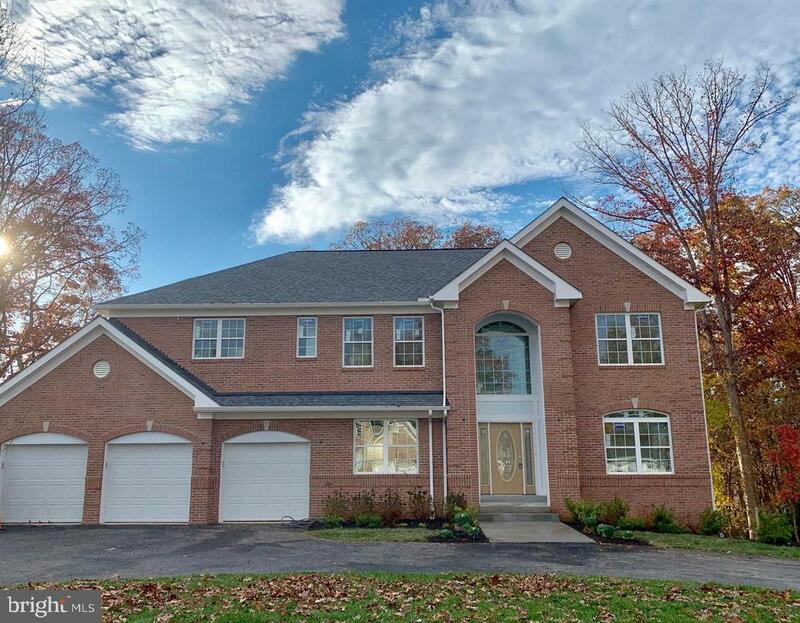 This beautiful home was rebuilt in 2016 featuring an open floor plan home, 9 foot ceilings on the main level with hickory wood floors, custom rod iron spindle stairway and is spread out over 4700 sf of living space. 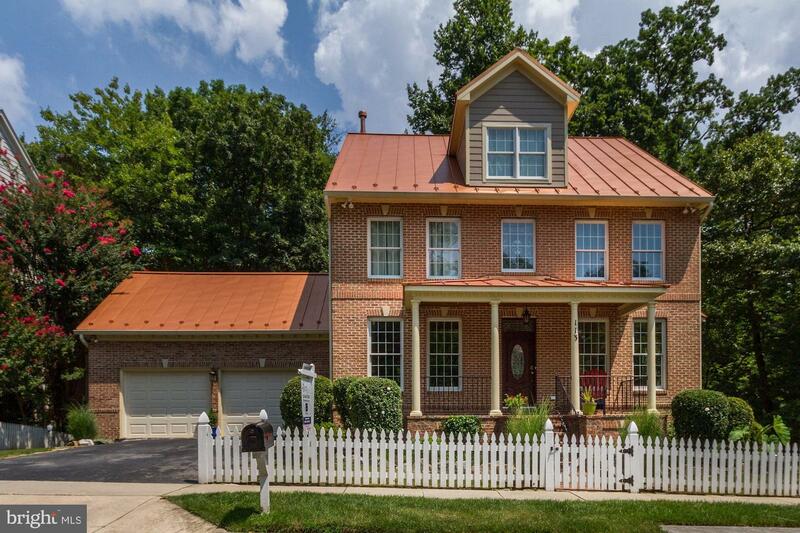 This home includes a new metal roof, new windows, custom railings, upgraded carpet, and brand new hardwood flooring, There is currently no other home in the 25 year old Kentlands development that's infrastructure can match this new rebuild. There is nothing old in this home from plumbing to bathrooms to HVAC to appliances. Since Nov' 2018, updates include painted picket fence, sealed driveway, power-washed exterior including deck & porch, stained upper & lower decks plus back steps, pointed up walkway pavers, replaced front doorbell, and mulched all flower beds. All ready just for you! Not a single detail was overlooked! A must see! Welcome Home! Very rare! Brand new 2019 built home! 7BR/5BA brick front colonial with a 3 car garage, circular driveway and 5,800 sq ft of living space on .77 acres of land. Boasting energy efficiency upgraded systems throughout, 3 levels of hardwoods, an upgraded trim package, 2 gas fireplaces and a full-daylight walkout basement. The main level is pure perfection with well appointed entertaining spaces, a huge gourmet kitchen with granite countertops. There are thick exterior walls with an energy efficient package, granite countertops in all the baths (as well as the Kitchen) and sprinklers throughout. The first floor features a fabulous in-law suite. A hardwood staircase leads to the upper level where double doors take you to the spectacular Master Suite, complete with a 3 sided gas fireplace, huge sitting room and a fabulous bath! 4 additional bedrooms and 2 more full baths are found on this level. The lower level is completely above ground, with light-filled windows, a spacious Recreation, large storage room and another bedroom & full bath. You will love the treed views, circular driveway and 3 car garage, as well as the location close to great shopping and dining. 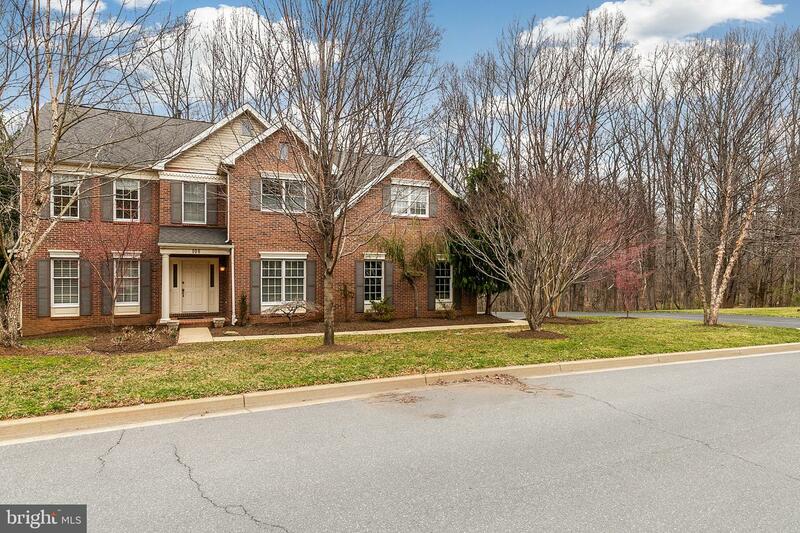 Located in the coveted Lane in the Woods section of Lakelands, this NV Homes Bartholomew model sits on a premium, picture perfect lot that backs to a serene wooded area & Muddy Branch tributary. What elevates this home from above the rest is its accommodating floor plan that boasts a rare 5th BR on the upper level & a bonus 6th BR in the 1,500 sqft, fully finished walkout lower level. Hardwood floors span throughout the entire home with an open concept Chef's kitchen complete with granite countertops, island, stainless steel appliances & sunny breakfast room. A custom stacked stone fireplace keeps it cozy in the family room, while the impressive Trex deck & screened-in porch are perfect for firing up the grill and dining al fresco in the warm Spring & Summer season. Listen to the birds chirp & enjoy the sounds of nature as the trees fill in & the flowers bloom. Once the sun sets, this area turns into an outdoor movie theater with a push of a button, activating the large big screen & projector. Invite your friends & family over for celebratory functions & gather around the bar/kitchenette in the lower level of the home or use this separate entry space as an in-law or au-pair suite. Alternate room uses include an in-home gym to go with the fully equipped steam shower outfitted with dual shower heads, body jets & Bluetooth surround sound. The possibilities are endless & the location is supreme, to be ranked as one of the best lots in the Lakelands community. Back on the market - your buyer's opportunity! Stunning home nestled on a secluded cul-de-sac with the best backyard in the neighborhood! Dramatic two-story foyer invites you into this spacious and updated home. Gracious living and dining rooms, gourmet kitchen opens to two-story family room. The upper level has a private master suite plus three additional bedrooms and two full bathrooms (all of which have been recently renovated). A fully finished lower level has a recreation room, a bar and sitting area with a fireplace, an exercise room, music room, full bathroom and extra storage. The backyard is a knockout! Boasting a screened-in porch, rear deck and firepit. This serene setting features mature trees, landscape lighting, is fully fenced and even has a hot tub. Walkable to numerous trails and parks. Wootton school district. Nature lovers and bird watchers delight! 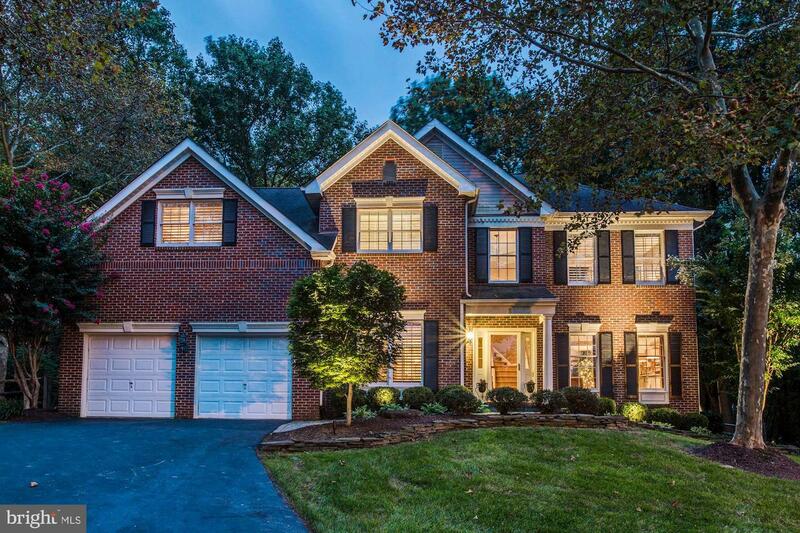 Welcome to this bright and elegant 5-bedroom + den, 2-car garage home in the Wootton HS cluster, backing to a nature conservancy and Muddy Branch Creek. The views will knock your socks off in every season! And a fabulous large flat side yard is ideal for sports. This lovely residence features vaulted ceilings, gleaming wood floors, skylights, and spacious rooms. The gourmet kitchen opens to a stunning family room with fireplace and 2-story ceiling, and to a sensational sunroom opening to large wood deck. Front and back staircases lead to a spacious upper level with 4 bright bedrooms and 3 full baths, including a large master suite with ample closet space. The spacious walk-out lower level is finished with 9-foot ceilings and ample windows, and features a large rec-room, wet-bar, 5th bedroom, full bath, large cedar closet, and a storage/office room. Your new home is close to shops, parks, and major commuter routes. UPDATED PRICE IMPROVEMENT BY 25K! This beautiful Bartholemew Model offers a flawless fusion of charm & modern convenience. This home is a short walk to all of the amenities of downtown Kentlands.It offers refinished hardwood floors, stainless appliances, oversized bedroom over garage, custom walk-in closets in the master bedroom, custom molding & beadboard thoughout home, front porch, new carpet, sunroom,custom bar on LL w/ full bath and so much more! Listed by Greystone Realty, LLC.